The fashion industry is often thought to be a female industry. That may be true for lookers, but for fashion designers, men rule the top positions. About 70 percent of fashion graduates are women, but men continue to dominate the top positions. Among the top 20 fashion designers, 14 are men. There may be many reasons why women struggle to make it to the top. One issue is start-up funding. 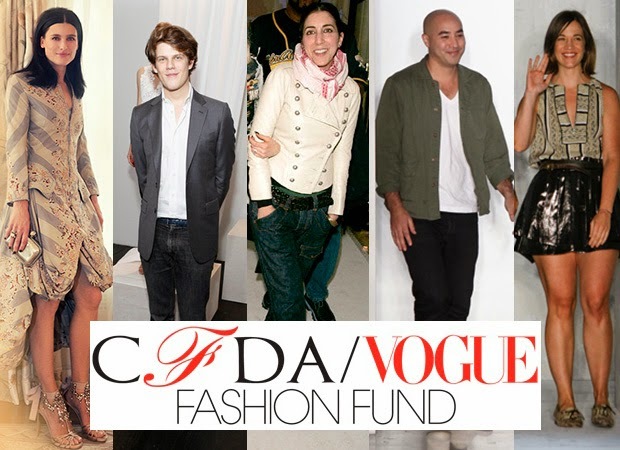 The Council of Fashion Designers of America and Vogue gives financial awards to one or more designers each year as well as expert advice from experienced fashion designers. The grand prize winner receives $300,000, and two runners-up each receive $100,000. The awards were created to support fashion designers with exceptional talent. Designers must be in the business for at least two years, have a staff (can include volunteers), demonstrated talent, and an operation in the U.S. In addition to the cash awards, designers will receive help in business planning, marketing, and other business areas. The Council of Fashion Designers of America is a non-profit, membership based organization. Members include designers of women's and men's clothing, jewelry and accessories.